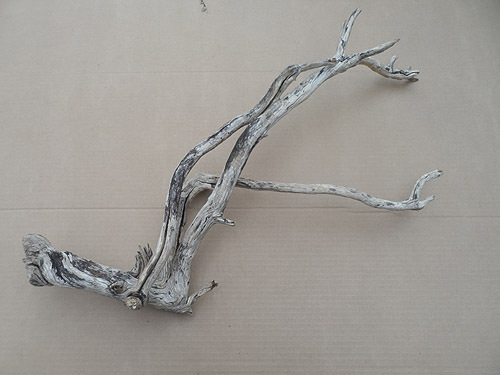 Driftwood for sale – DRIFTWOOD LOT NUMBER 250119C – R190. 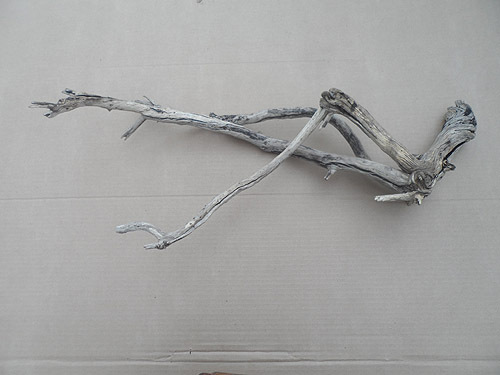 4 Driftwood pieces for sale for R190. Take note of the 60cm ruler in the photos to get an idea of the length of each piece. 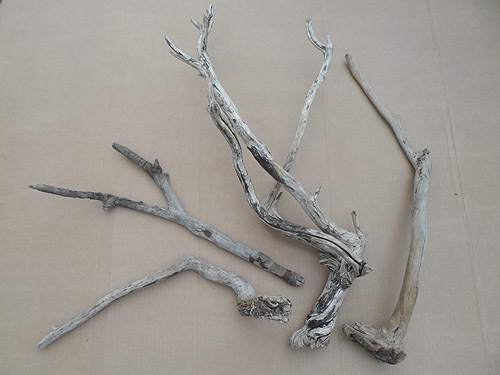 Lovely driftwood pieces, fairly strong, and thus suitable for a variety of purposes. Perhaps most suited for use in flower arrangements or wedding table decor. 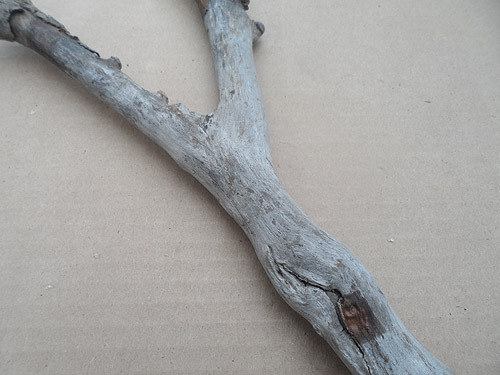 Several photos are shown here of just this ONE driftwood lot 250119C. 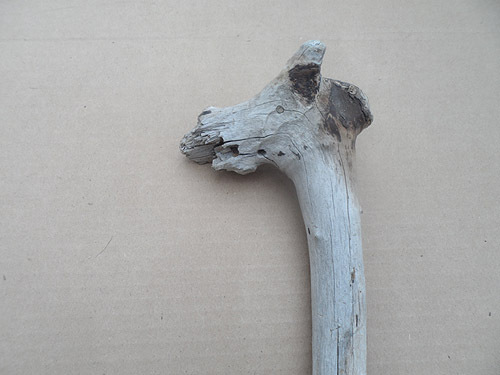 driftwood lot 250119C – interesting. 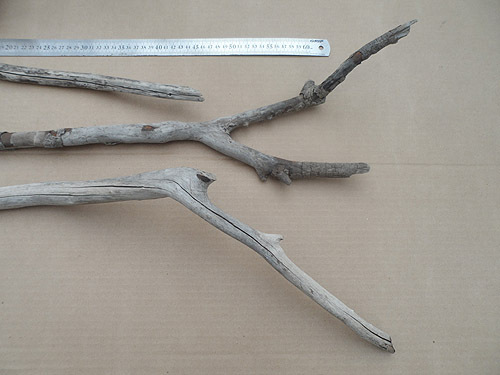 A photo of just the interesting driftwood piece that is above the ruler in the first photo on this page, in this case positioned differently for this photo. Parts of this piece may not be strong enough if you are thinking of using this piece in a fish tank, but the piece should be perfect for use in a floral arrangement or table centrepiece arrangement. This piece may also be a fun item in your small pet reptile or insect enclosure. driftwood lot 250119C – swimming flying. Is this driftwood creature swimming or flying in an attempt to get out the photo on the right hand side? 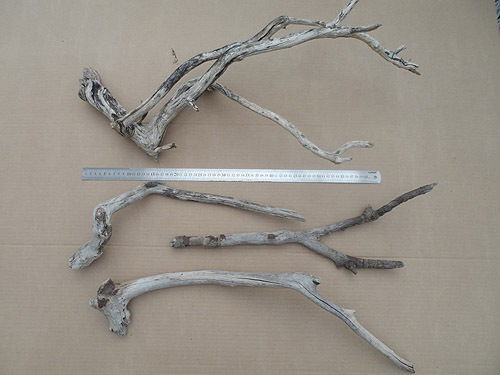 driftwood lot 250119C – arrangement. 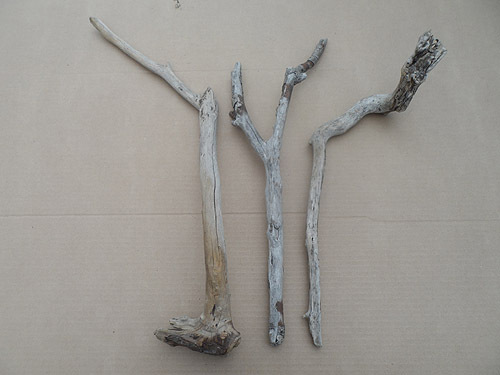 Perhaps use all four driftwood pieces in a single arrangement. 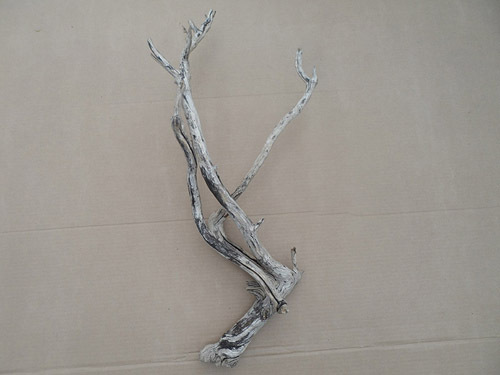 Suitable for flower arrangements and rustic theme or beach theme wedding table decor. 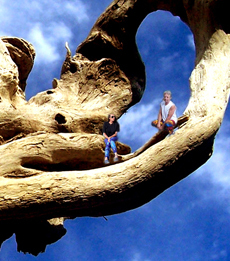 driftwood lot 250119C – giraffe. 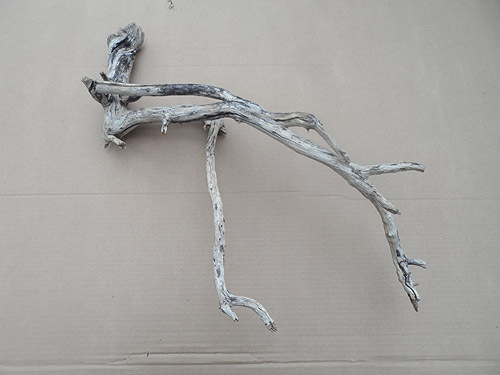 The end of the one driftwood piece in this lot looks a bit like the neck and head of a giraffe. 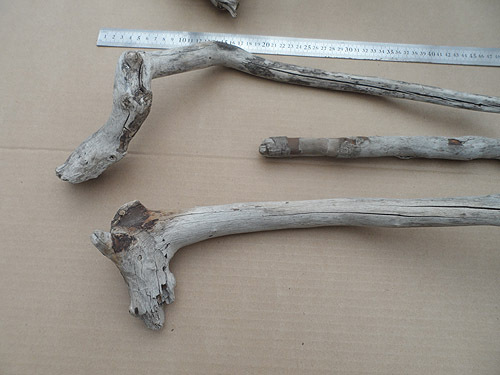 Imagine opening a parcel and finding these 4 lovely driftwood pieces inside. How do you plan to use them? You could even paint them in funky bright patterns, or completely in white or pastel colours and display as is or in a large glass jar or vase as decor items.